The sticker on the front of the tin pushes one of Dungeon Defenders II's biggest new tweaks: the loot/trash ratio. Before, as you were tower defending and action gaming, you'd find a lot of pick-ups but end up hating most of them. Now, with that Harbinger thing awakened on his airship, the loot is a lot better. Drops are a little less frequent, of course, but when you see the shiny, you know it'll be worth your time. Another nice change is the level grind. Players can reach level 40 faster than before, and the endgame 38-50 grind has been significantly eased, making your path to more content smoother than ever. Oh, and speaking of killing all the baddies, the update includes new weapons for each class! Take one of them to the airship for your fight with the Harbinger, why not? You'll need the firepower, that's for sure. 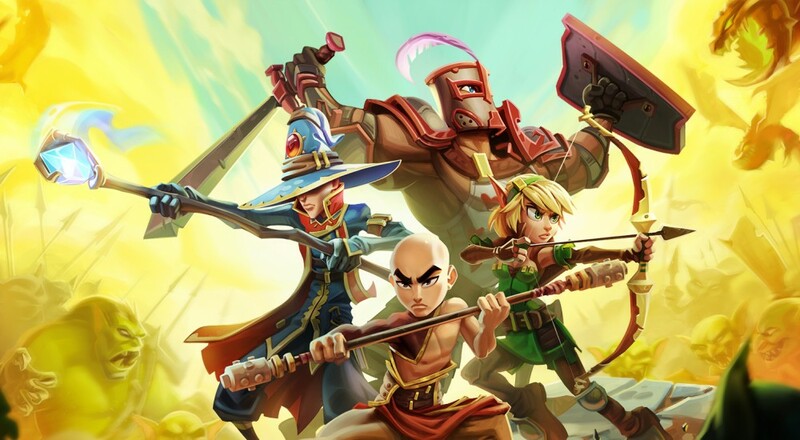 Dungeon Defenders II is a free-to-play game currently in open alpha on PC through Steam Early Access. In the future, Dungeon Defenders II will officially launch on PC, Mac, Linux and PlayStation 4 as a free-to-play title supported by "ethical in-game purchases". Co-op supports four online players or two local players, and it's actually quite good if you ask me. Page created in 0.3537 seconds.